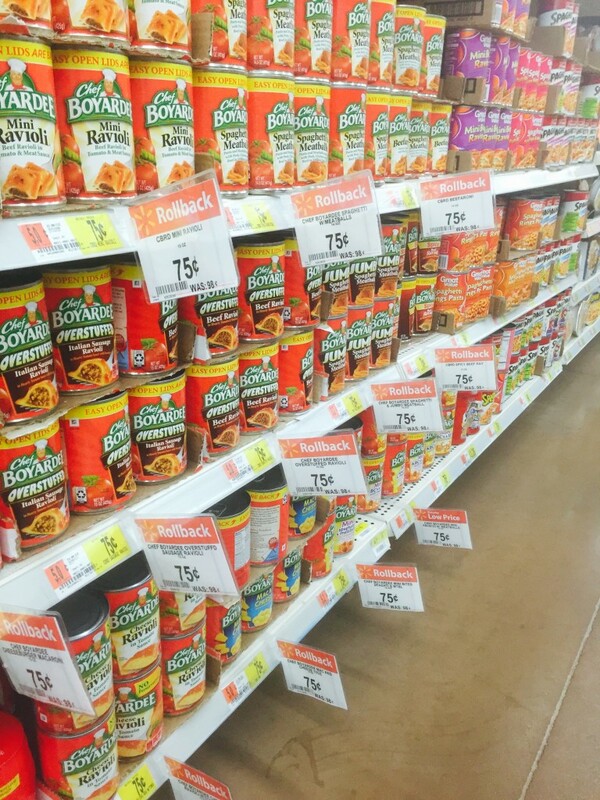 Banquet and Chef Boyardee | A Savings WOW! 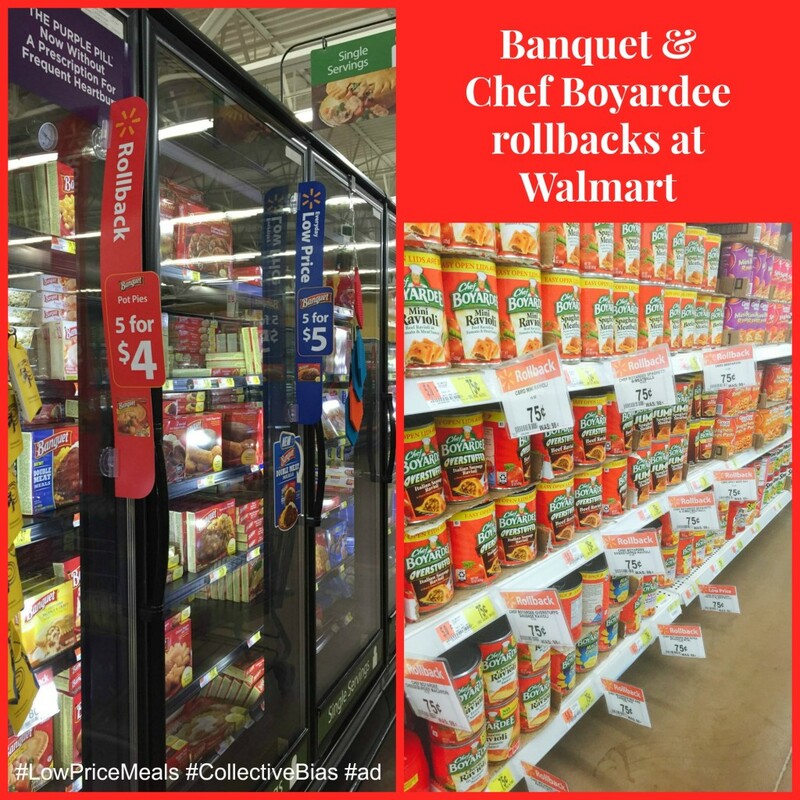 Banquet and Chef Boyardee Rollbacks at Walmart – Stock Up Prices! Every day is a busy day in my household, so I’m making it easy in the kitchen with Banquet dinners and pot pies and Chef Boyardee. The rollback prices on frozen Banquet dinners and pot pies and Chef Boyardee cans makes it easy to save and spend less time in the kitchen. 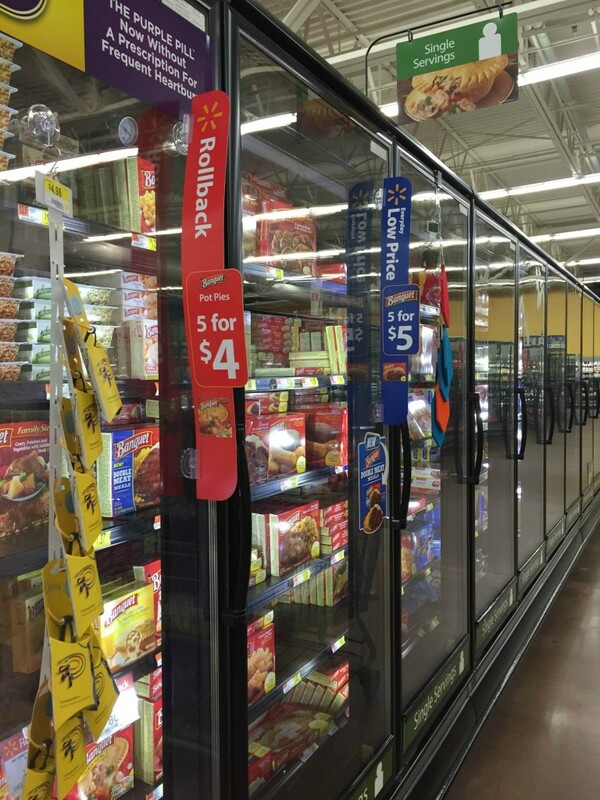 The rollback prices are just $0.80 for each frozen Banquet dinner and pot pie now through February 24, 2015 and $0.75 for each 14.5-15 oz can of Chef Boyardee February 9 – April 6, 2015. Tasty meals like Banquet salisbury steak and Chef Boyardee raviolis make dinner easy and delicious! Be sure to head to Walmart and stock up on this great deal while supplies last!